Many a time, people miss use words and superlatives to describe works of art and the people behind them and one such word is ‘legend’. 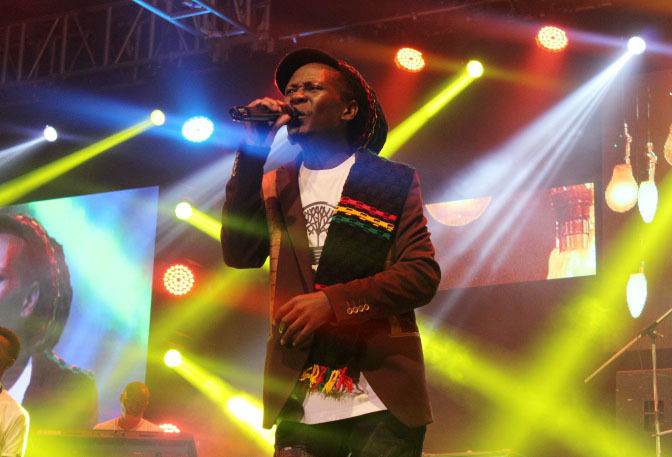 However, Ugandan Reggae maestro Maddox Ssemanda Sematimba last night looked to have inked his place in the history books of Ugandan music with a master class act at his ‘Return of the Champion’ concert in Imperial Royal Hotel In Kampala to book space in the specially reserved list of Uganda’s greatest music acts. 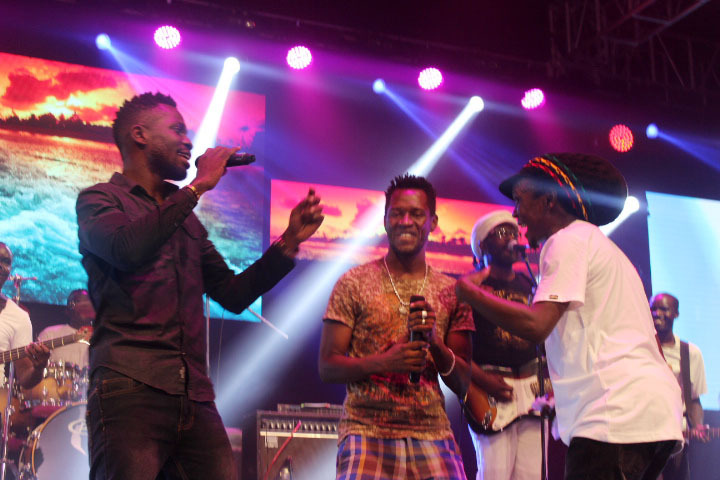 Not that he was not there yet, but yesterday’s proceedings simply acted as a confirmation for an artiste celebrated for his masterpieces mostly produced a decade or so ago that keep on playing like they are just freshly being churned out of studio. 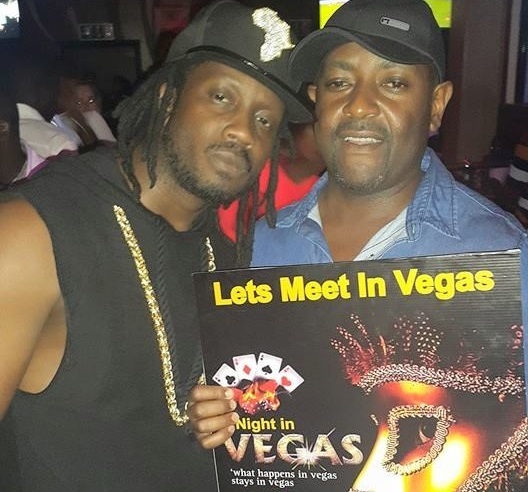 This was the one piece of jigsaw that many have been ‘waiting’ for to qualify the easy-going down to earth reggae superstar. 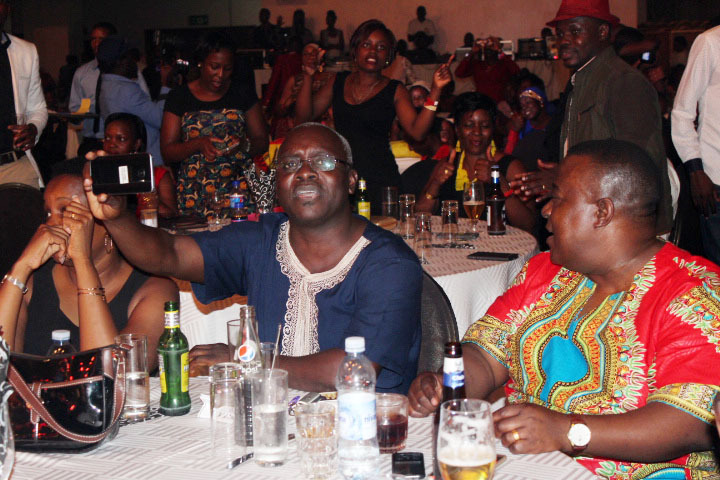 The timing could not be any better than just a few hours after Grammy award- winning Reggae music family Morgan Heritage had put Uganda in the moods of some high flying Lovers rock and roots reggae at the Lugogo Cricket Oval. It all started at 10:00 pm when The UB5 Band that ably backed the main man took to stage to warm it up with some reggae instrumentals with Bob Merley’s ‘No Woman no cry’ setting the tone. 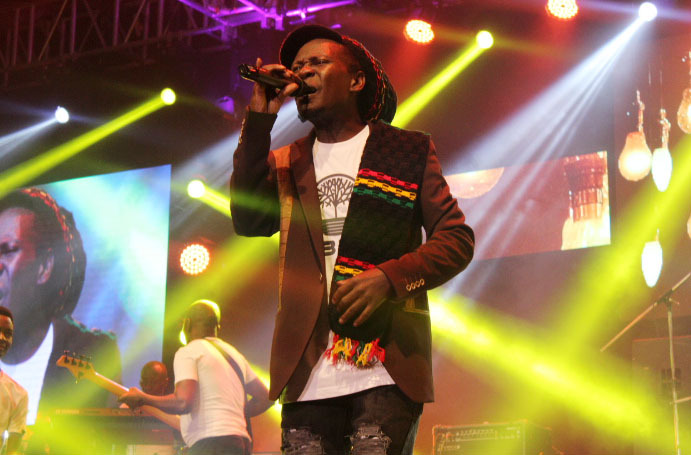 Then in his trade mark Rasta look, Maddox majestically stepped on stage 20 minutes later wearing black jeans, white –T-shirt,brown jacket which he crowned with a Rastafari-themed multi-coloured hood that held his heavy dreadlocks together. And all this cannot be complete without the black and white shoes as well as that big scarf hanging on his firm left shoulder. 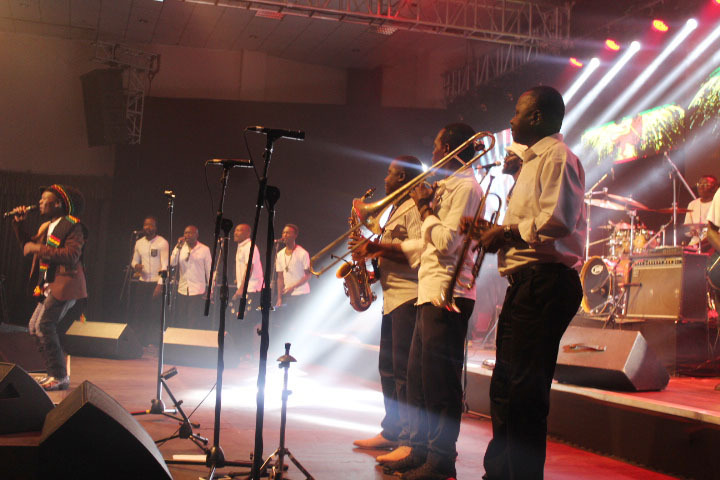 Although he hesitated abit to make sure the sound was perfect, he then just easily rolled into the groove as he joined the band quarter way into ‘Eddembe’. 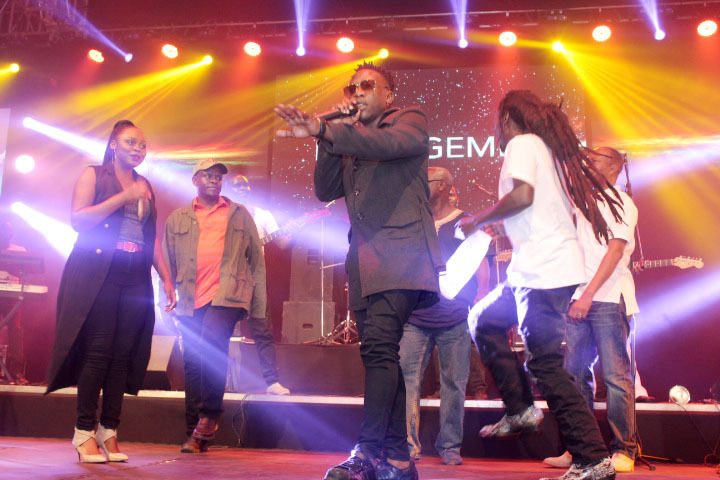 The crowd that was fully packed to capacity was ecstatic as they welcomed him on stage with wild cheers. With a combination of passion and concentration on his face while pouring out his heart and soul, Maddox surely showed he was finally back home after a long hiatus in Sweden where he initially lived and did most of his music from. The fans joined him in singing along as they sucked it in. 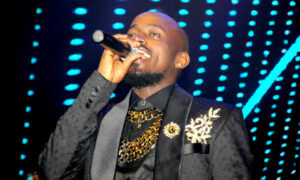 On his play list, he had a mix of the old classic songs and some of his latest productions. 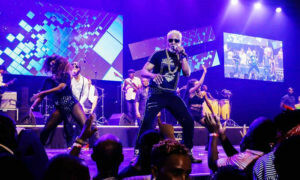 And by the time he hit the fourth song ‘Muna Kyalo’ on that rich list, the fans could not hold back but get on their feet and dance, the sing-along got even louder and more frenzied. 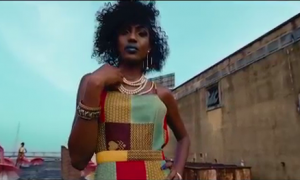 And when the intro tune for just hit the first key, the screaming turning into yelling and many ladies like singer Irene Namubiru could be seen holding back tears. 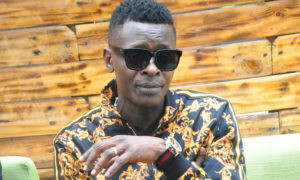 In fact, the list of celebrities who turned fans was long and included Uganda’s self proclaimed music doctor Jose Chameleone, Ghetto President Bobi Wine and First Lady Barbara Itungo, Vision Group’s Robert Kabushenga who was chief guest, Sheila and her father Frank Gashumba, Sofie and Sam Gombya, Nubian Li, Rema Namakula among many others who were all seen happily dancing and singing. This was the moment Maddox surely has been waiting for to wash away all the controversies that followed his return home a few years back. 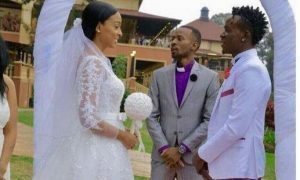 He has been on a steady recovery period in which he convincingly won back his lost fans and gained new ones in different gigs he recently featured at. 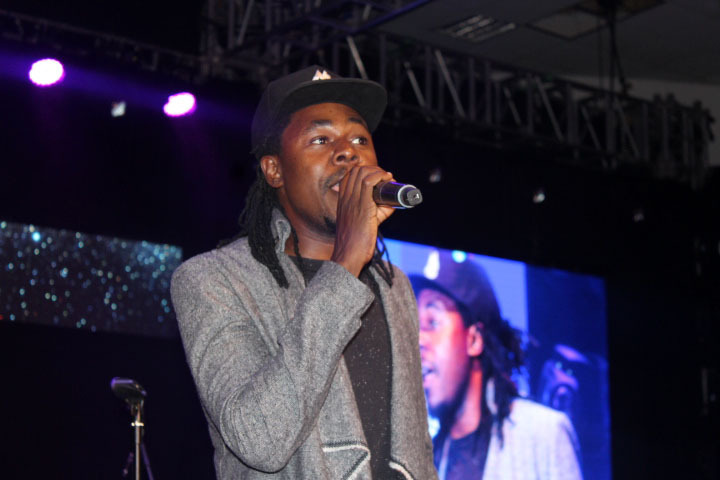 Among the 12 songs he performed, some of the popular ones that rocked the crowd included “Nakatudde”, “Leka Nkulage”, “Easy”, ”Wowooto”, “Omukwano”, “Omuyimbi” and crowned it all with the crowd’s all time favourite “Namagembe” to which the whole house stood up. 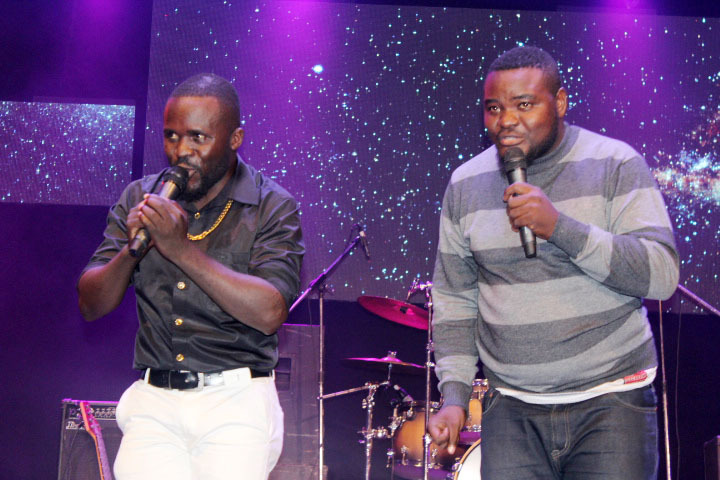 He invited events promoter Balaam who organise the show to join him on stage as well as singers Maro and Geosteady who had also curtain raised for him and Nubian Li, Bobi Wine and Rema Namakula who were also given an opportunity to sing a few verses. 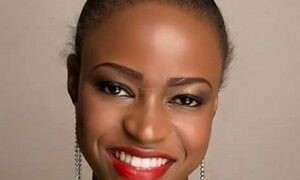 The event sponsored by Vision Group, Balaam Events, Pepsi, Bell lager, Fenon Records, NBS Tv, UHMG, among others had a perfect VIP only setup with all guests seated at tables. 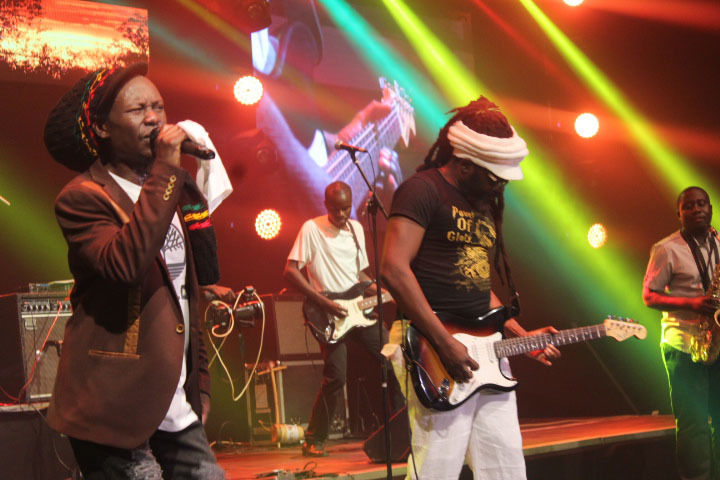 Fenon Records also did a perfect job with lights and sound making the UB5 band feel at home and on point as well as the MCs of the night MC Kapale, Mad Rat and Chicco. Maddox who only let his music do the talking then closed the historical show at 11;35 pm with the fans still yearning for more of the action. 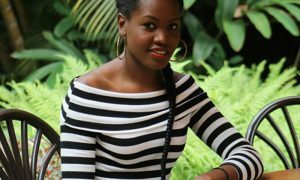 UHMG Alongside Dj’s Association Bring You The Ladies Affair.